Do you really need website traffic? This question really depends on what you are trying to achieve with your blog and website. I know for those trying to monetize their blogs with Ads, you definitely need a buttload of traffic to see decent money from your blog. That is why you might want to know more about how to increase website traffic. Otherwise, you can still make money with your blog even with average traffic. Before we get started, we would love for you to join our growing Facebook group right here! You can also join our Pinterest group by scrolling to the bottom of this page! If you are looking for guest blogging opportunities or if you need a personal affordable coach to take you from A-Z, we can help you. Get all the juicy details right here! Have you seen our brand new shop! With the recent Pinterest changes to its algorithm (catch up here), I have spent the last 4 months diversifying my website traffic. I am constantly working hard to find other ways to increase website traffic without overworking. And so far the strategies I found are pretty helpful. 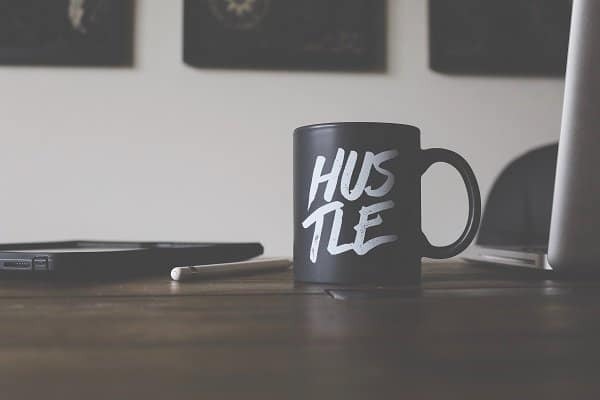 I am going to share with you the strategies I have been using for the last few months to increase website traffic and make more money with my blog. I wrote a full post on how I managed to get over 19,000 pageviews on one post in less than 30 days. But working to beef up my blog and website to increase traffic is my main focus. I absolutely do not want to rely on only one source of blog traffic in case all fails. Social media is great for getting traffic, but just with anything, things change and a social platform may no longer work. They are so many options available to help increase website traffic. Meera from Meera Kothand shares her strategies for getting blog traffic to a brand new blog. This post is perfect for beginners but I believe everyone should read it to get a refresher. Two great tips I am currently using that I found on her blog is mostly about guest posting. Guest Posting – Not just on any site. But guest posting on Authority sites in your NICHE. This is really important because you will be working on a blog platform that already has a following and is well respected. This opens you up to new audiences that align with what you do, it will increase your blog authority way quicker, and you will get much better results in your business. Optimizing your post – Just because you are guest posting, doesn’t mean you do not need to optimize your work. Use your bio to your advantage, and any links you add should be valuable and should also be able to convert in subscribers and long-term readers. Honestly, you need to read this blog post if you are looking for the best way to increase website traffic for your online business. Alexis from FITnancials is a newish blogger. She now gets over 100, 000 Page views per month on her almost brand new website. She shares the tips and tricks she implemented to get such amazing results. Her one tips that I really love is conducting surveys for potential blog topics. By conducting a quick survey she is able to find out exactly what her readers want to read on her blog. This is the best way to increase website traffic. You are basically writing what people really want to know more about (the majority). She shares 5 amazing tips on how to increase website traffic and you can read all about it in her latest blog post. Elna from Twins Mommy and a 100 other amazing blogs that she runs, shares her amazing tips on increasing website traffic using SEO. She has several blog posts that are featured on the first page of Google, which means great blog traffic for her. Her recommended tip to new bloggers and I quote “The way to start ranking on Google is to rank for long tail keywords.” It is so much easier to rank for longtail keywords than really focussing on shorter and more competitive keywords. Another amazing tip she shares about how to increase website traffic is to concentrate on creating long-form content. She shares more about that on her blog. Gemma from Gemma Bonham-Carter shares the 7 Strategies she used to increase blog traffic on her website. 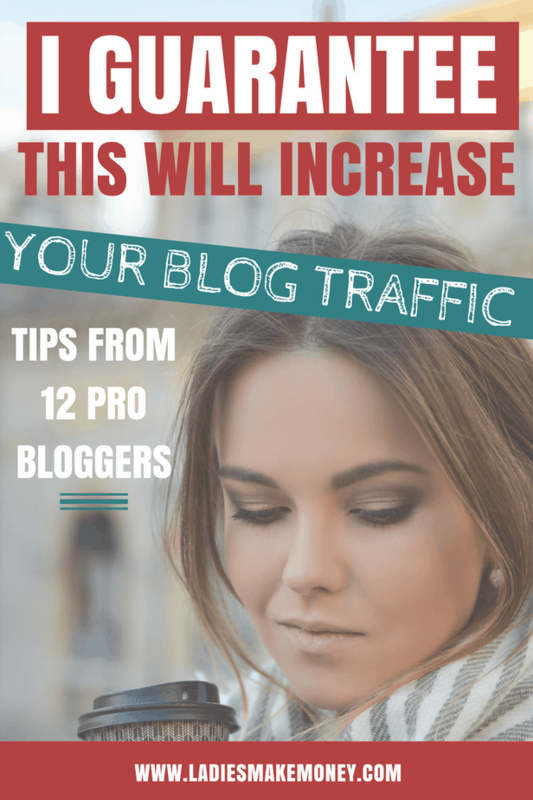 The one take away I got from her post is that you must use great images to attract readers on Pinterest and to your blog in general if you want to increase website traffic. Having stellar photography will play a huge role in whether someone clicks over to your blog or not. Read the full strategy right here. For the past few months, I have been updating and bringing blog traffic to old blog posts. This is huge. This post only had 2 shares when I first posted it over a year ago and in less than 2 weeks, I have received over 110 Page views from it PER DAY! Drum roll, in less than 2 weeks since updating it, I have had over 2.5K shares on it from Pinterest. Melyssa Griffin shows you exactly what steps you must take to update old blog posts for maximum impact. I followed these exact tips. Alright, if you do not know by now, Helene is the Queen of Instagram. I mean, she gets thousands of blog traffic from this platform. I am yet to understand it. I cringe every time I have to use Instagram and here is this superstar that gets most of her traffic utilizing Instagram stories and using the best hashtags. Anyways, enough about that, read the full steps she uses to get consistent website traffic every month. My goal for June is to learn Instagram! #InstagramGoals. The main reason I chose to write this post is to show you that they are different platforms you can use to try and increase your blog traffic. Pinterest is definitely my main option, but with constant changes and updates, sometimes the platform is not always game. So when I read about how Brittany Ann was able to get more Facebook likes, and that her followers were actually engaging with her content, I had to follow up. Facebook used to be the IT. Now it is again thanks to Strategies Worth Sharing. SEO is a long-term winning strategy that every blogger should use. I no longer write a post without fully researching and ensuring I will somehow rank for it. Otherwise, I will get lost in a pool full of millions of other blogs. A solid SEO foundation is a key to a successful online business. Michelle from the Nerdy Organized does a fantastic job explaining how to properly do SEO keyword for your blog. 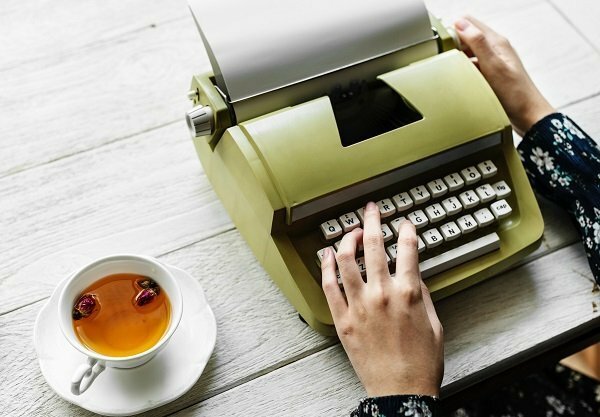 Let me give you a quote from her post – “The best time to do keyword research is before you even start writing.” And this is how I knew she meant business. Sarah from XO Sarah shares her amazing tips to increasing blog traffic. She is a blogger with over 20 YEARS EXPERIENCE. Yep, you read that right. I am fully obsessed with her blog especially when it comes to learning everything blog-wise. The one tips I took away from her blog post is giving up the stuff that does not produce great returns on investment. Like seriously, stop spending time on things that are just not working out or producing short-term results. If you want to increase website traffic, you need to focus. Focus on things that are producing great results and find a way to make it X10 better. Sarah says “Multi-tasking is the enemy here” and I couldn’t agree more. Andrew and Kathie do a fantastic job explaining how to increase website traffic by repurposing your blog posts. If your blog posts are barely getting any traffic, then you want to find a to repurpose it. This team spent time repurposing old blog posts that were still relevant and saw a spike in blog traffic. They are so many ways to increase blog traffic and the easiest way is to repurpose it and bring it back to life. I love her point about creating multiple new pins for Pinterest and resubmitting your blog to increase blog traffic. 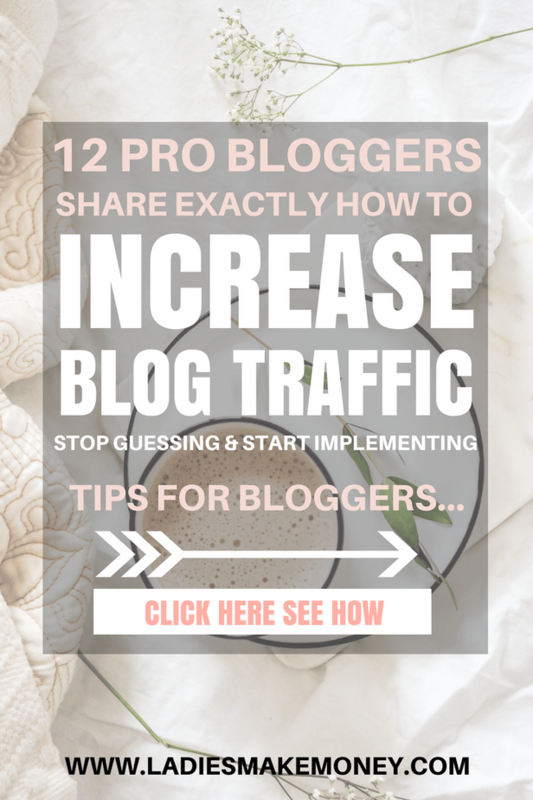 So Claire from the newly rebranded Clarity Avenue is my blogger friend and she has amazing tips on increasing traffic with Pinterest. She actually wrote an amazing eBook which I completely swear by. Her blog post follows a great group board strategy to increase impressions on your pins. “The most important thing that I don’t see many people actually doing is Pin FROM the group board – it makes the group board more visible within the Pinterest Platform, and it helps you as well as everyone else.” You can see her Pinterest Strategy here. If you want to increase website traffic, you should really focus on organic traffic from Google. Arfa from Epife gives 3 amazing reasons why you should focus on getting Google Traffic to your blog. The first reason is that it is FREE. Google traffic will automatically grow your blog and make the traffic more consistent. With organic traffic from Google, chances are that you will get more sales. Because people are typing specific searches on Google, this means they are already eager to take action. Find out how Epife is able to help you rank on Google and increase website traffic to your online business. Lena from What Mommy Does is who I look up to before I create any post. In my opinion, her content creating strategies are on point. You can grab the FREE Guide at the bottom of this page where she explains how creating roundups of your own content drives visitors around your site. This is absolutely genius! 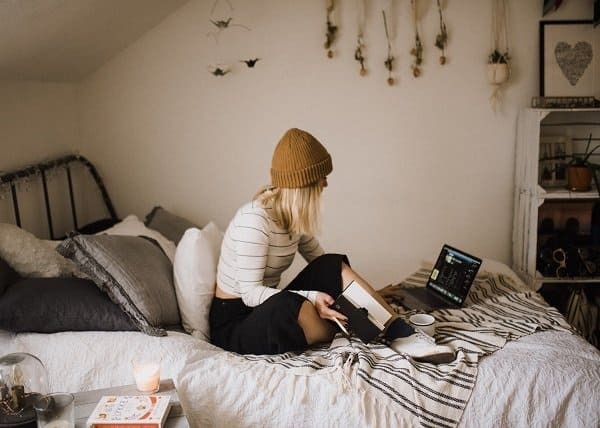 She explains the exact strategies she uses for creating the perfect round-up blog posts to boost blog traffic and in turn increase website traffic to your online business. As you can see, every one of these Pro-Bloggers has given me many amazing strategies to increase website traffic. Don’t rely on one source of website traffic in order to get results. They are so many ways to increase blog traffic. This is gold! Thank you for all of the amazing tips! My name is Aly and I would like to know if you would have any interest to have your website here at ladiesmakemoney.com promoted as a resource on our blog alychidesigns.com ? Absolutely you can link to any post! Excellent tips! Thanks for sharing some excellent tips in this blog. What a great round up post! I have bookmarked this to come back. Excellent article. Yes, Pinterest becomes a great traffic source for a lot of Bloggers. Now I’m creating some good followers on Pinterest. Thanks for sharing. These are some excellent tips on increasing website traffic! Every post has detailed content on growing blog traffic through multiple strategies. As you said, if new bloggers go through these posts and implement the tips mentioned, they will surely get a boost in their traffic. Yes I found your tips on increasing traffic with Google extremely useful and I think my readers would appreciate it. Thanks for that wonderful post.